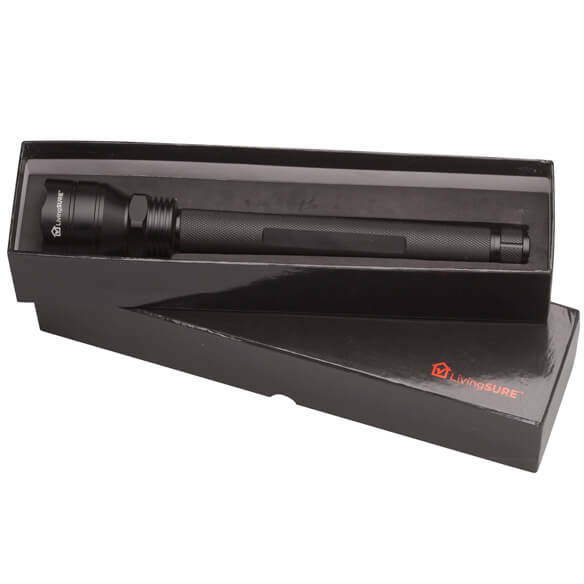 Offering extreme durability and cutting edge output, this 13 1/4" Tactical Flashlight by LivingSURE™ boasts tactical features once reserved for military and emergency personnel. Incredibly impact resistant, it's crafted of military-grade aluminum that is engine-turned for an additional layer of protection. Its scalloped striking crown can be used to break glass or for self defense, making it indispensible for home or travel emergencies. 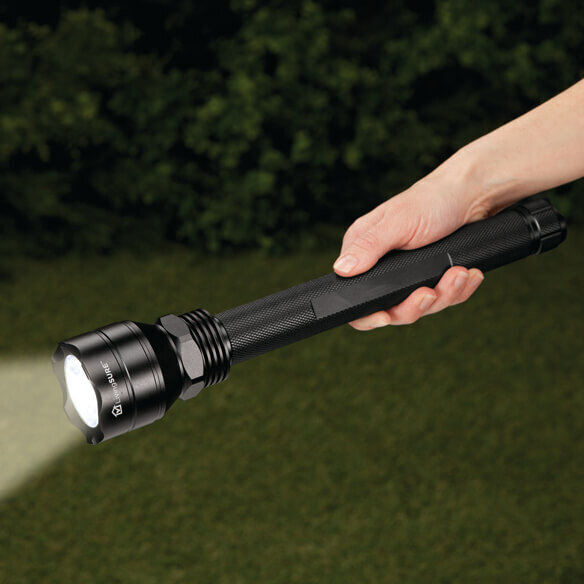 Powerful CREE-XML-2 LED bulb capable of reaching up to 600 Lumens. 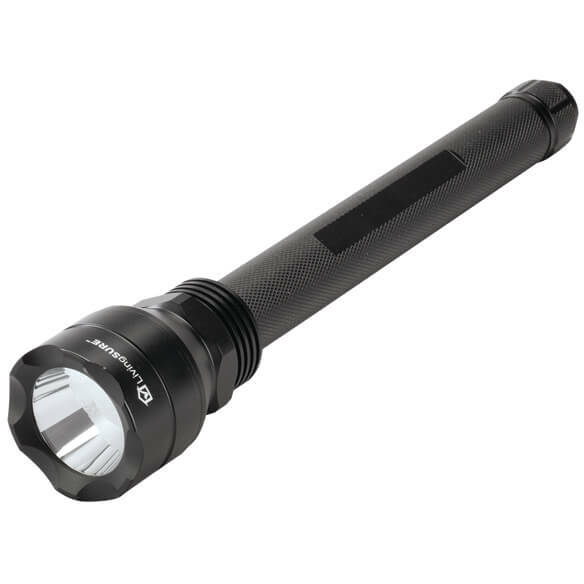 A simple touch of the :ED flashlight's rapid release tailcap switch offers quick access to high, medium, low, blinking and SOS light modes. Includes a protective gift box. Uses 5 C batteries (not included).